Matt has over 19 years experience in the automotive industry with 10 of those years specialising in the financial services field. His experience predominantly has been with BMW Financial Services where he has won ‘Dealer of the Year’ 2 years in a row. 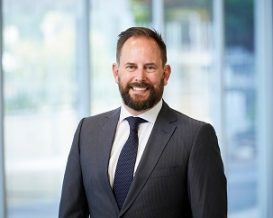 Over the last 4 years Matt has been employed by BMW Australia as the Regional Manager for Financial Services and General Sales Manager for BMW Melbourne where he gained vast experience at senior management level specializing in strategy, HR and performance management. Matt has both retail and wholesale knowledge which gives him an extensive understanding of the automotive business. Through Matt’s experience he prides himself on excellent client service and specialises in structuring tax effective financial packages. Matt’s aim is to build long lasting business relationships by providing professional service and advice. Matt is a family man and a keen golfer.